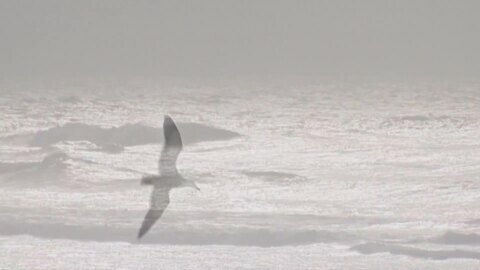 Today marks 150 years since the fatal tsunami that hit the shores of the Chatham Islands. 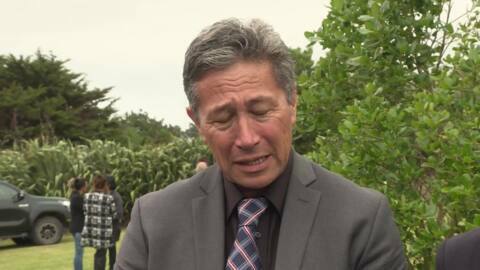 More than two hundred people, including dignitaries and members of parliament, paid their respects to the last officer of the 28th Māori Battalion, who died on Friday. 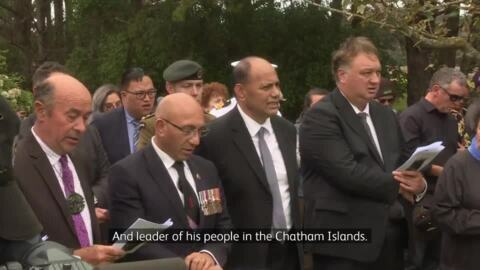 Lieutenant Alfred Preece was farewelled at his Chatham Island home. He's the last officer of the 28th Māori Battalion. A 40-strong sports contingent from Chatham Islands arrived in Wellington this weekend to take on the New Zealand Parliamentarian rugby and netball teams. Iwi Moriori and Ngāti Mutunga have partnered with Aotearoa Fisheries Limited (AFL) to launch a new processing plant on the Chatham Islands with the aim of boosting the islands economy. Ngāti Mutunga from the Chatham Islands say they will support an application to mine waters around their islands if benefits for Chatham Islanders are guaranteed.